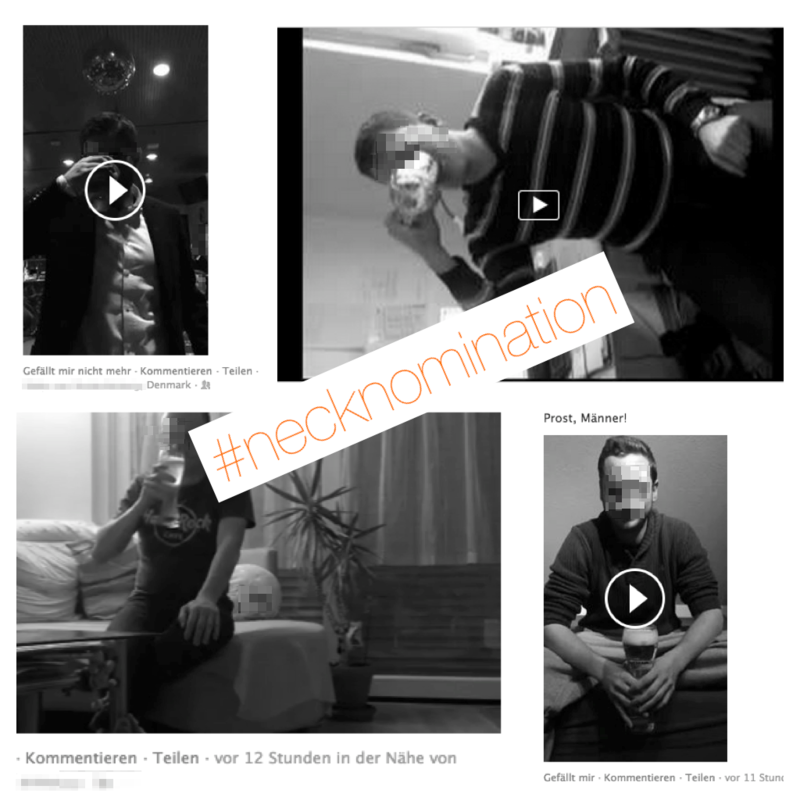 The global Social Media phenomena NekNomination or Necknomination is a game where a contestant downs a pint of beer (or other alcoholic beverages for that matter) and “nominates” three of his friends to do the same within 24 hours. Otherwise, they owe him a case of beer, or what have you. Thus, to put it in a nutshell, it’s a digital, viral, drinking game. It’s in the same category as the Harlem Shake videos* a while back, just with beer. Here’s a link to an article from the Huffington Post, in case you can’t remember. While the above-mentioned Internet meme, the viral Harlem shake dance, was fun, the NekNomination game brought it to another level. Apparently some took it too extreme and drank their urine or other disgusting things. And, according to the news, the game is responsible for the death of some teenagers in Ireland. It’s all about virality. Luckily my friends or Social Media connections were smart enough to only drink beer, booze, or non-alcoholic beverages. I think people are intelligent, but some surprise me sometimes. Some, on the other hand, do smart things indeed. A friend of mine simply took his nomination as motivation to donate money to charity. He gave five Euros to the DRF Stiftung Luftrettung gemeinnützige AG, a German non-profit air rescue organisation. The amount might seem small but it’s time and money worth spent. Just imagine if everybody would do a “smart” thing. In South Africa, a man reportedly gave a homeless man groceries and nominated his friends to do the same. That’s the way to go. It’s funny, I always thought of alcohol as a socialiser, a socialising thing. Aimed at making social interactions more fun and at fostering companionship. Well, I haven’t been wrong per se, but I still find this form of human interaction, beer drinking, over the digital platforms utterly disturbing. Probably because it doesn’t happen at the same time. Thus, let’s all try a Google Hangout! Just kidding. *Note: Some claim the Internet meme Harlem Shake was created by corporations. Probably. If you want to know more, have a look at those articles from Quartz and Gawker. Hej, I'm Jonas. I am an Analyst, Researcher, Economist. Currently, I am working within Digital Analytics as well as Site Selection and Economic Development. I love to travel, the digital world, and Rugby. You can also find me on Twitter (@JonasWendler).